Samina Qureshi is the Registered Dietitian and owner of Wholesome Start. She provides personalized nutrition counseling sessions to help you feel your best. Schedule your FREE 15-minute nutrition session today! Eating well should be simple, convenient, and stress free. These meal plans take the stress out of eating and help you learn what works best for you. You don’t need to follow these meal plans exactly as listed, but they will provide you with an idea of what to cook during the week to nourish your body with a variety of balanced meals and snacks. Check them out for a FREE trial and if you’re interested, sign-up for just $9/month! FODMAPs are poorly absorbed by some people and avoiding them may provide relief for certain digestive conditions, such as irritable bowel syndrome (IBS) and inflammatory bowel disease (IBD.) This meal plan provides healthy low-FODMAP recipes to help you meet your health goals. This anti-inflammatory plan contains low-glycemic recipes aimed at stabilizing blood sugar, normalizing hormones, promoting healthy digestion, and reducing inflammation associated with many chronic diseases. 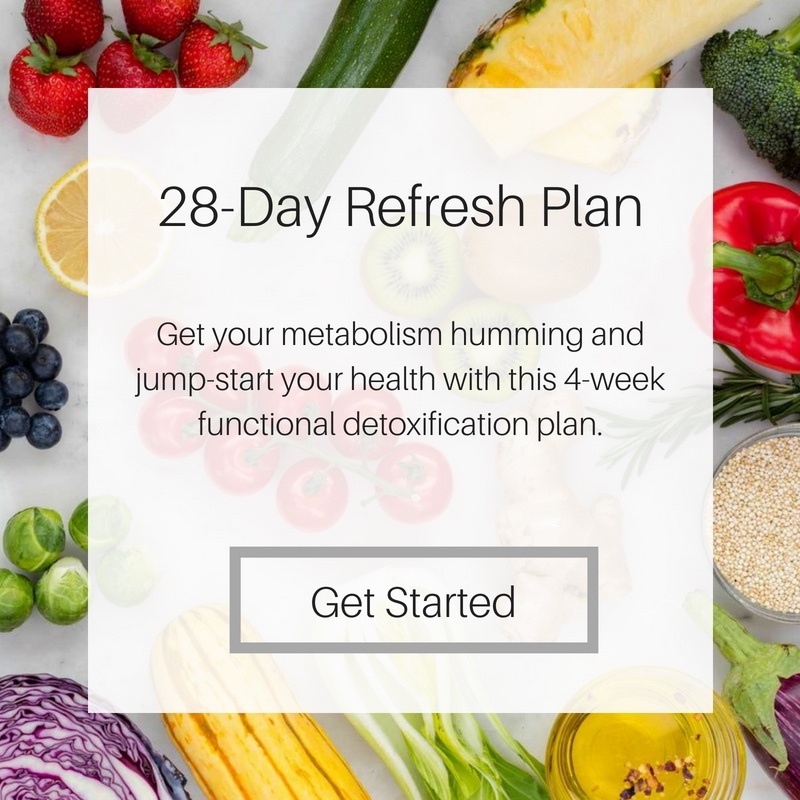 This 28-Day Refresh is a great way to get your metabolism humming and jump-start your health. It contains selected low-glycemic recipes aimed at stabilizing blood sugar, normalizing hormones, promoting healthy digestion, and reducing inflammation associated with many chronic diseases. At the end of this 4-week plan, you will automatically begin receiving the Anti-Inflammatory Plan to support you in maintaining healthy habits. If you’d like to learn how to eat well based on your unique needs, click the button below to schedule your FREE 15-minute consult! We can discuss which meal plan is best for you or you can learn more about my personalized nutrition counseling services to help you nourish your body without stress or guilt!